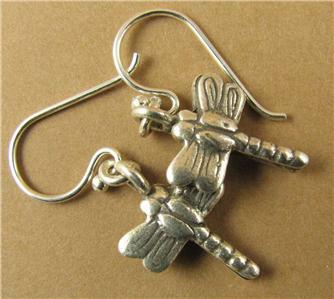 Home › Dragonfly earrings. Fine and sterling silver. Handmade. 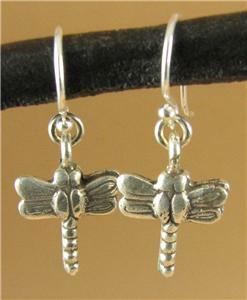 Dragonfly earrings. Fine and sterling silver. Handmade. 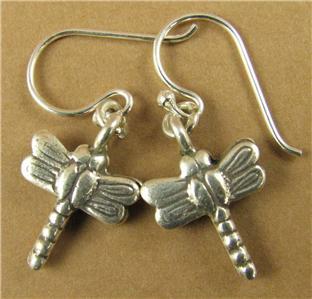 This is a lovely pair of fine silver earrings in the shape of dragonflies. The dragonflies themselves have been handmade by the tribal people living between Burma and Thailand. They are extremely pure fine silver (98% purity). The dragonfly is double sided, so there's a dragonfly on both the front and back. The silver hoop is also fine silver. 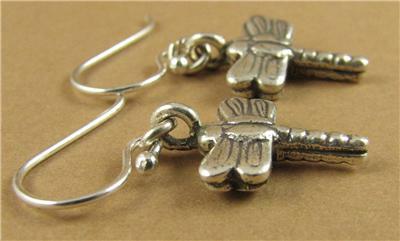 The ear hooks are sterling silver (92.5% purity). 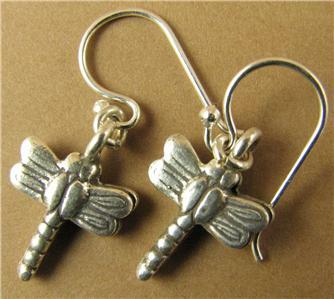 From the top of the hooks, the earrings are 2.5 cm long.